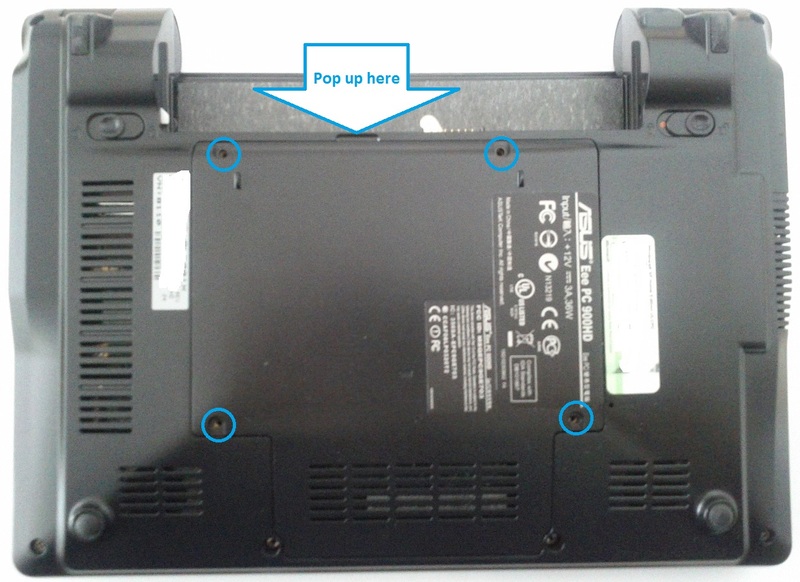 This guide shows how to disassemble an Asus Eee PC 900HD to replace the fan (or battery or memory or hard disk or keyboard or motherboard or wireless networking card). Proceed at your own risk. This will void your warranty, but at this point, you probably don’t have a warranty. If your computer doesn’t look like this, you don’t have an Asus Eee PC 900HD. You should probably look for a guide for your specific model. Slide apart the two latches and remove the battery pack. Also, remove any SD card or SD slot filler. Remove the screws and pop off the cover. Carefully slide the hard disk to the right and lift out. This entry was posted in Technology on 28 February 2013 by John Miller. Thanks to share, I have problem with the Wifi card and try to find a manual to show where is it and how to open, again thak you so much, best regards.